Today we put together some brand new laying boxes for the hens. If you’ve got a similar eye to me, you’ll immediately notice that they’re just a little bit slanty. 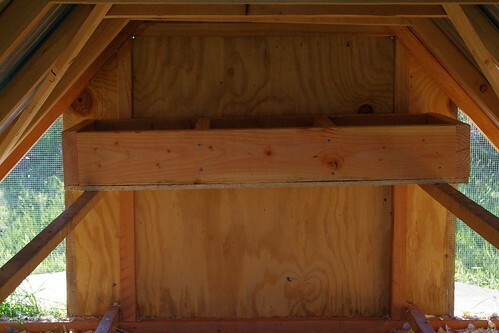 That’s because the two support beams were made from scrap wood, so they aren’t exactly the same height. Hopefully the hens won’t mind one or two degrees of incline. The boxes are 12″x12″x5.5″. We used 2x6s to make the front entrance a little higher. There will be 2″ of bedding put in there to cushion the eggs, leaving a little privacy wall for the laying hens. If needed, we’ll enclose them more completely, but we’re going to see how the hens respond to this set up first. We’re not sure exactly how exhibitionist we should expect our hens to be. I always like seeing the process of designing things, so above is a sketch of the nest box as Nick put together the basic design. Originally, we were planning the walls and ceiling, as well, which was a little more complicated than the final 12″x12″ boxes that we’re trying for the time being. Just a wee bit of overdesigning went on before we got to where we’re at. And we’ll close with a little game. 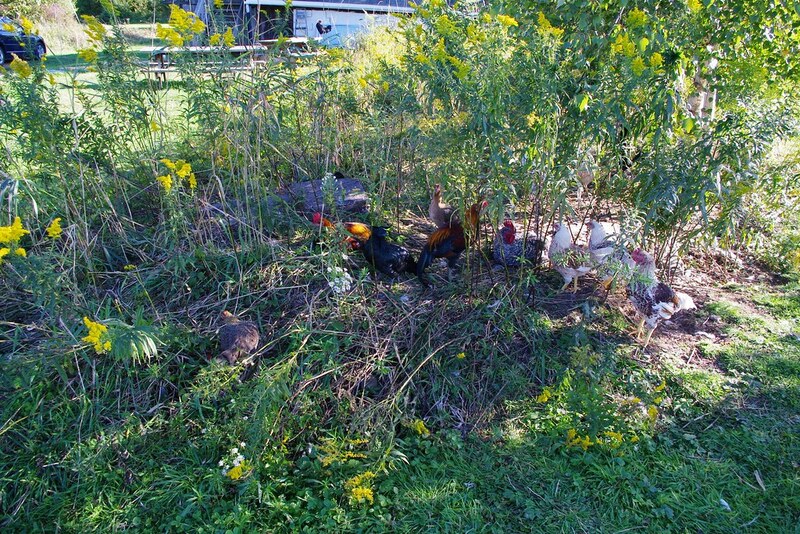 If you care to make a guess in the comments about how many chickens are in the picture below, the closest guess will win a prize. (DISCLAIMER: prize subject to availability and location of winner. We reserve the right to use Price is Right guessing rules, or absolute guessing rules, depending on number of submissions and quality of guesses. Participating in this contest may cause carpal tunnel, eye strain, brain strain, deep thought, or light humor.) Good luck! Count the chickens. Guesses in the comments! 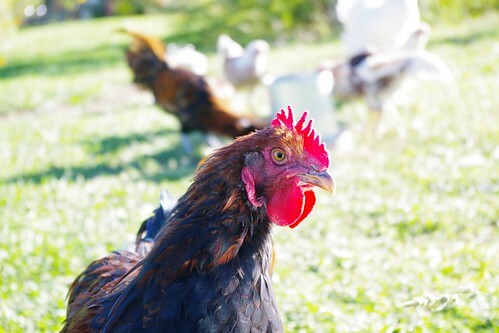 Author thirdrootPosted on September 18, 2011 Categories FarmingTags chickens, contest, coop, plans, where's waldo? 1 Dollar!.. I mean 9 chickens! Third Root Farm Create a free website or blog at WordPress.com.